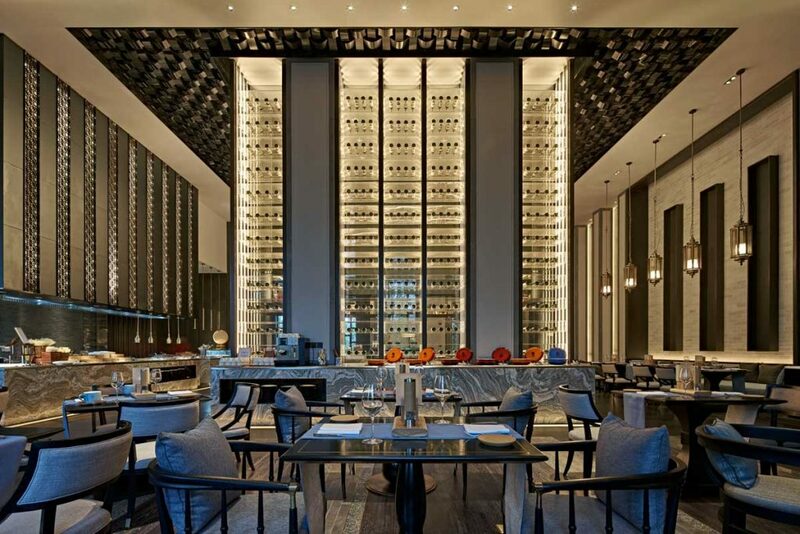 This week’s instalment of the #SBIDinspire interior design series features an urban resort that offers sweeping lake views, located on the shore of Lake Chao; one of the largest lakes in China. 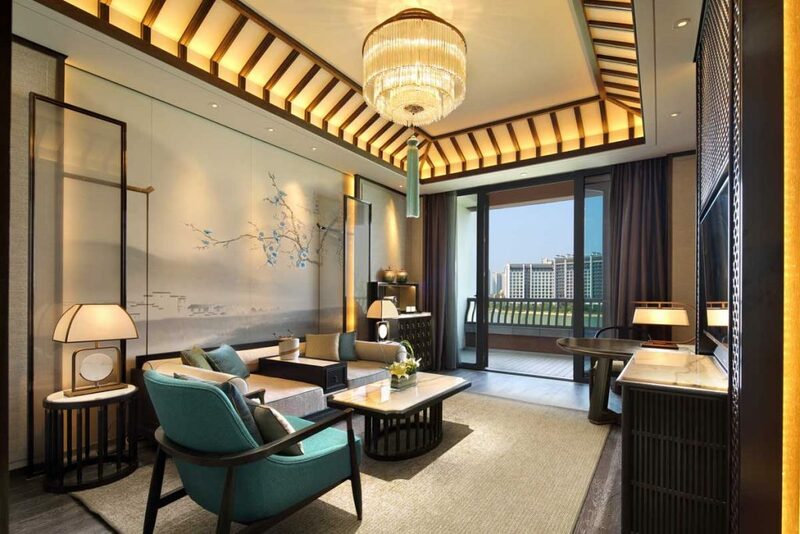 The hotel is a hillside building in the Neo-Huizhou-style with 206 guestrooms. Each room has a balcony from which guests may enjoy 180-degree views of the beautiful lake. The interior design features white walls, black tiles and grey bricks, all of which are typical of Hui-style architecture. 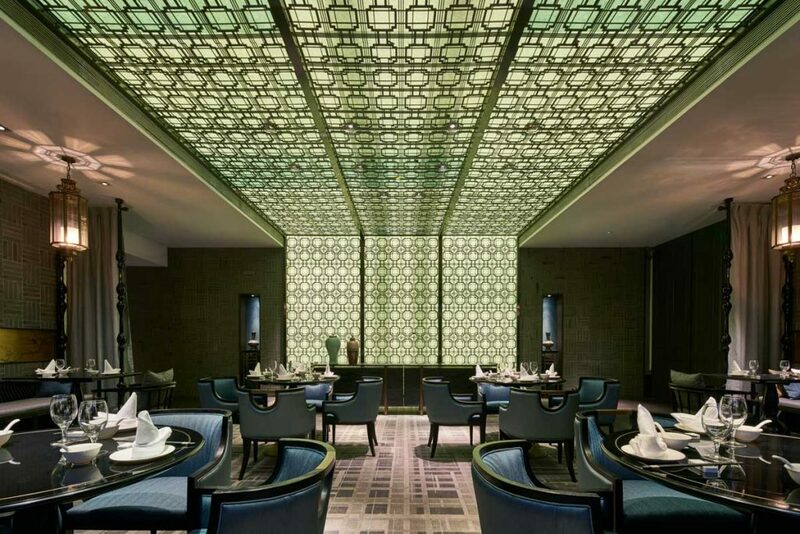 Respect is also paid to Huizhou’s aesthetic style of order and symmetry. 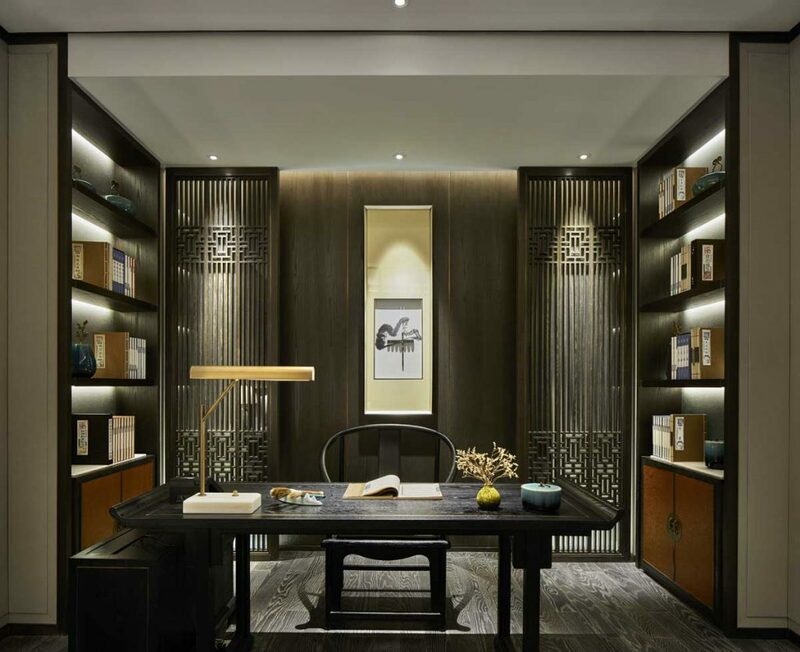 A core design feature of the guestrooms embraces the ideas of the ‘Four treasuries of the Chinese Study’ including study space with writing brush, ink stick, ink slab and paper. This has great local and cultural significance in expressing the ‘Impressions of Huizhou’ design theme. Our client is our parent company, Wanda Hotels & Resorts. 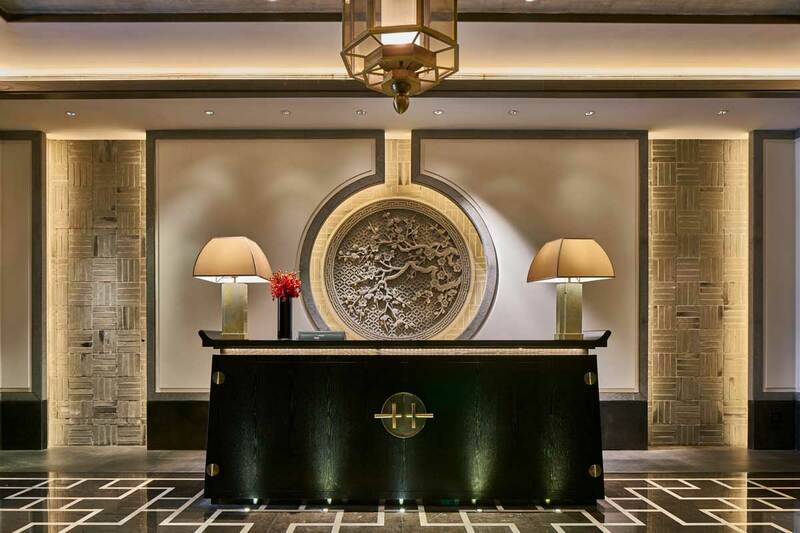 Founded in 2007, Wanda Hotels & Resorts has been achieved through integrated business resources including hotel design, hotel construction and hotel management. As the capital of Anhui province, Hefei is the economic and cultural centre with a profound history. 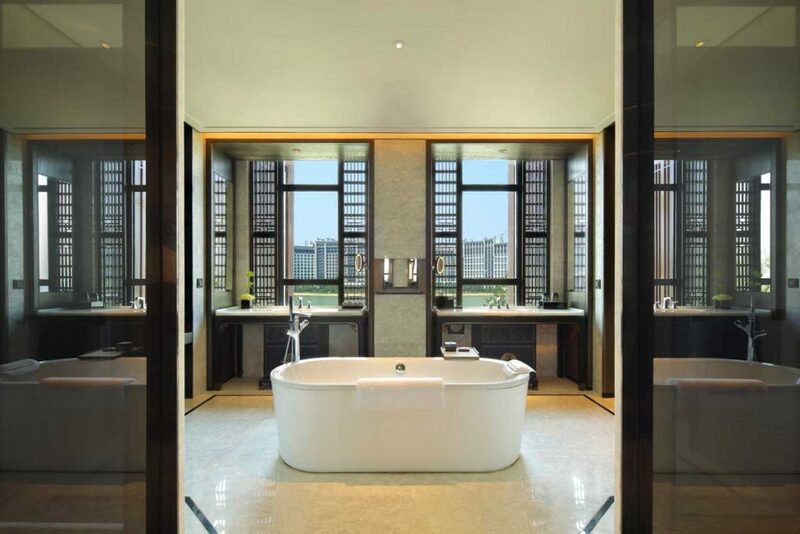 Our purpose is to build the most luxurious and high-end urban resort in Hefei, which can meet both business and vacation demand. That’s why we choose Wanda Vista, the highest brand among Hefei hotels group. As the hotel is located near city, it owns the convenient traffic without too much noise and disturbance from city centre. We hope Wanda Vista has complete supporting facilities, breath-taking landscape scenery as well as high-quality service. 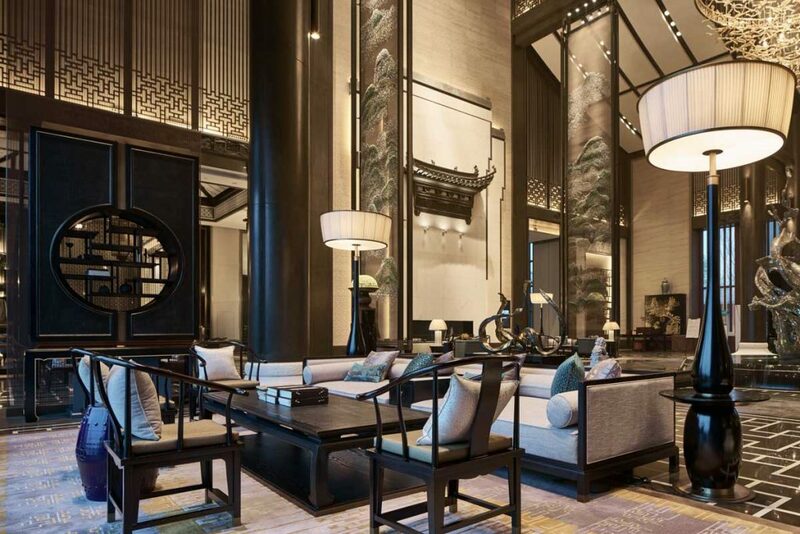 In addition, we wish the cultural elements of Anhui is embodied in the interior design of the hotel, to give our guests deeper understanding of Anhui culture during their stay here. Also, as Vista brand is not commonly seen the east area of China, we hope Vista Hefei has stronger characteristics. Anhui is situated next to Huizhou, which is renowned for Hui-style architecture – a school of Chinese architecture. For another, Anhui is a combination of exquisite scenery and distinctive cultural features. In short, the above two factors – architecture and cultural characteristics – are our inspirations for this project. Other inspirational resources derive from the white wall, black tiles and grey bricks of Hui-style architecture, the order and symmetrical aesthetics, local decorative materials and the art of Huizhou carving (e.g. Brick carving, wood carving and stone carving). Well, the greatest difficulty lies in how to express classic aesthetics using modern techniques. If we adopt traditional techniques to manifest these Hui-style characteristics, we will be confronted with great difficulty when it comes to spatial considerations; especially with a large space like the hotel lobby. Interior spaces were not as expansive as this in the past, so all the architectural components such as brick carving, roof overhang and folding screens were produced according to their actual dimension. It would therefore be impossible for us to enlarge the past material and craft it to today’s space, that’s why we needed to think about the kinds of modern materials and techniques which could be used for these creations. For instance, we designed four screens of 12 metres high to increase the levels of layer. When investigating the folk embroidery craft, our designers were inspired to replace the base fabric of embroidery with metal, and embroider Huizhou scenery on the metal net. In this way, we were able to realise the same effect with the same impact, which wouldn’t be achieved by using traditional metal or other metal materials. Well, I think the highlight for me is the hotel lobby. The spatial vastness of the area integrates the exquisite features of Hui-style architecture and strong sense of decoration manifested through modern techniques. The lobby covers an area of 700 square meters, preserving the top structure of the original building with the highest height of near 20 metres. 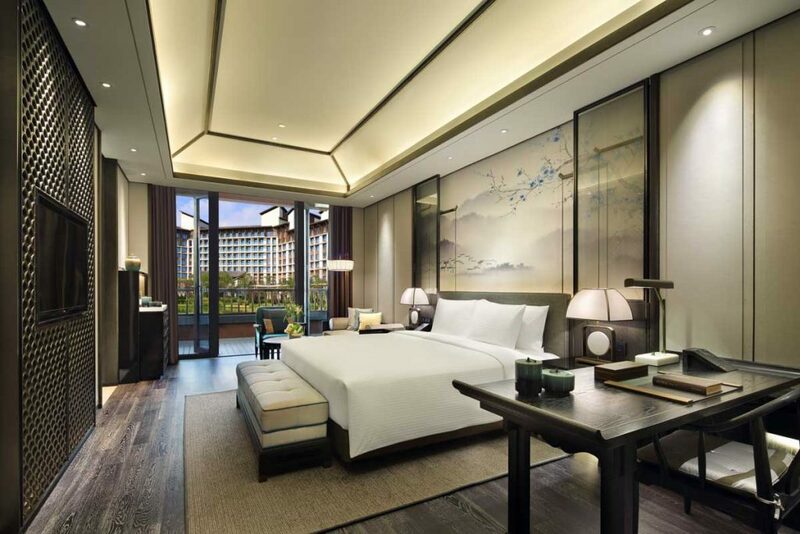 For the interior design, we embodied the traditional Hui-style wood carving technique into the decoration of wooden circular columns, beam and wall surfaces, focusing on the design theme; ‘Huizhou Impression’. For colour use, the combination of grey brick, black tile and white wall from Hui-style architecture which represent the nature is put into use in the whole colour adoption. The lintel decorated with hanging flowers is made from bronze, and it implements with the wharf wall harmoniously. Also, speaking of Huizhou culture, what first comes into our mind must be the Chinese ‘Four Treasures of the Study’, which includes writing brush, ink stick, ink slab and paper, which are expressed by different techniques in the hotel space. 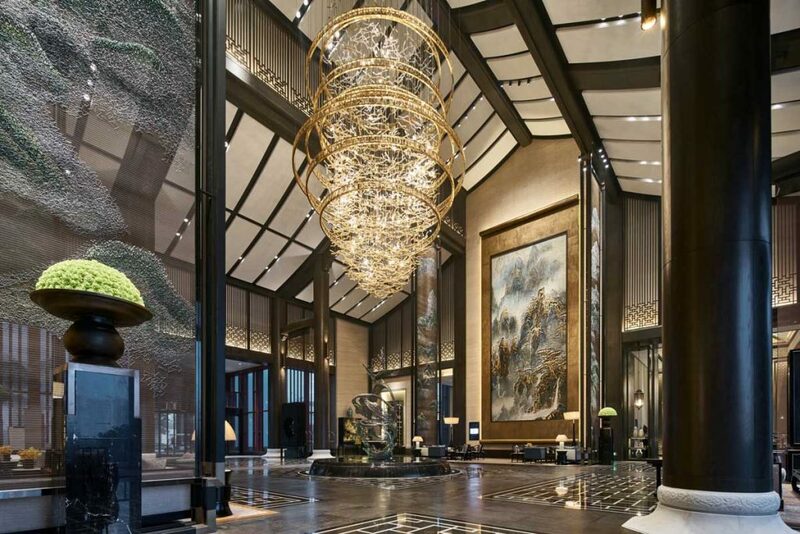 For example, we designed a 20-metre high Chandelier in the shape of a writing brush, to give the appearance of it pouring down from the roof; the pool carved from black stone is the integration of ink and ink stone; the ten-metre high scroll painting ‘Huangshan Scenery’ looks like wash painting on Chinese Xuan paper. 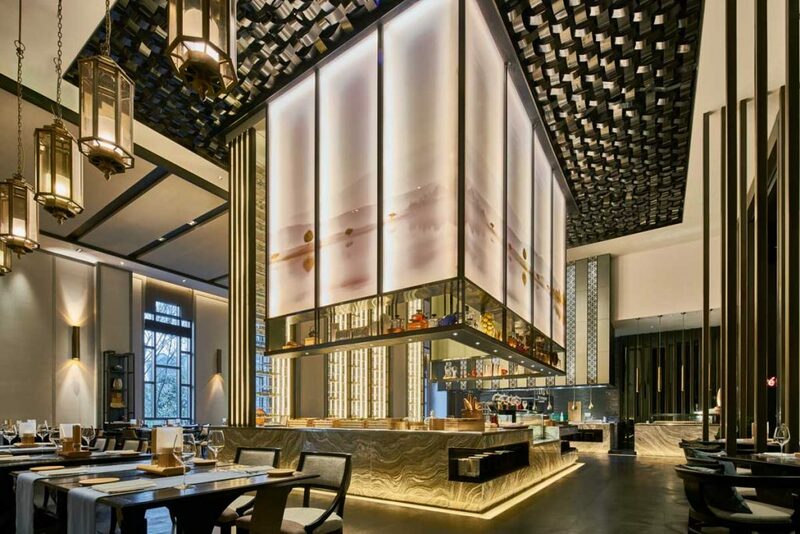 Through the design of a ten-metre high ground glass window, the hotel lobby connects with a borderless lake view perfectly, inviting the glorious views and lake scenery into the hotel. SBID is a renowned international award. Participating in the award is a test on our design ability. We will be more thankful and honoured if we were to win an award because it will be an honour both for the design team and for a single designer. On the other hand, if we unfortunately fail in winning an award, it still offers us a precious opportunity to compete with other design teams in the world and allows us to learn from each other. If you missed last week’s Project of the Week featuring a private luxury oasis comprising of villa and pool house in southeastern France, click here to see more.